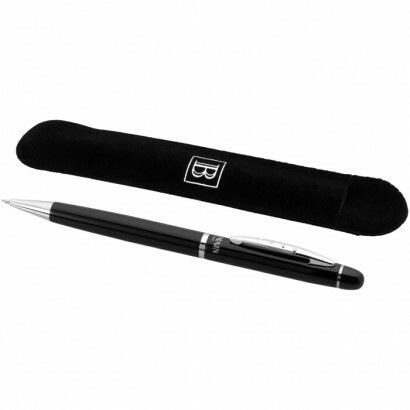 Sleek look and solid feel come together in this exclusive design ballpoint pen. The barrel is complemented with a tactile grip. Incl. Balmain gift box. 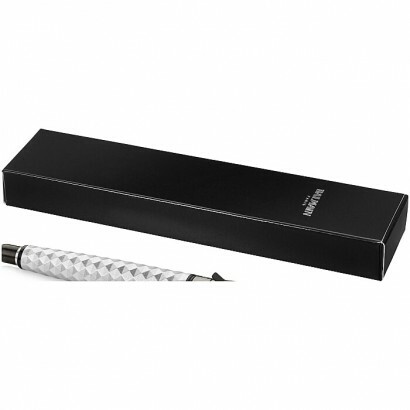 Sleek look and solid feel come together in this exclusive design ballpoint pen with stylus. The barrel is complemented with a tactile grip. Incl. Balmain gift box. 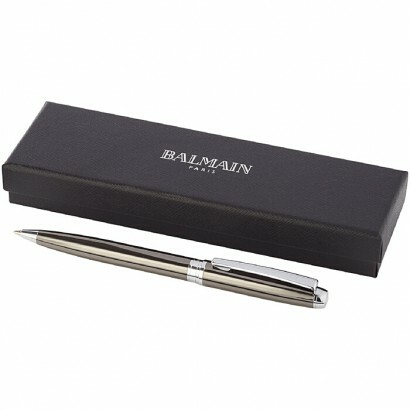 Contemporary exclusive design ballpoint pen presented in a matching lacquered Balmain gift box (size: 16 x 3.5 x 3cm). Metal. 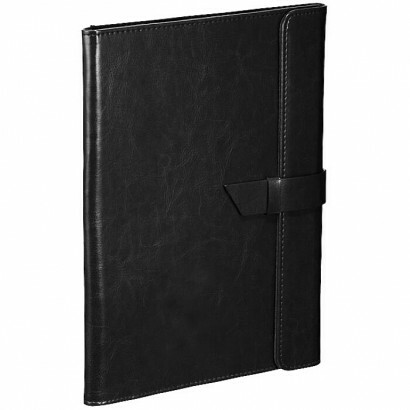 Exclusive design jotter style stylus ballpoint pen ideal for touchscreen devices such as smartphones, tablets and retail payment pads. Incl. 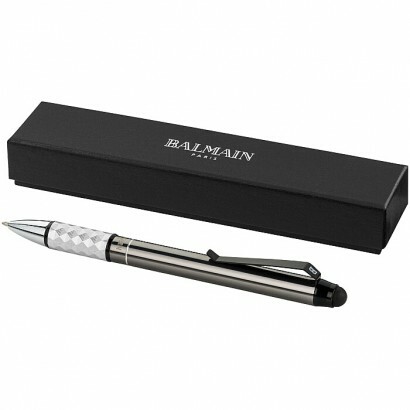 new style Balmain clip, black ink refill, pen pouch and Balmain gift box. Metal. 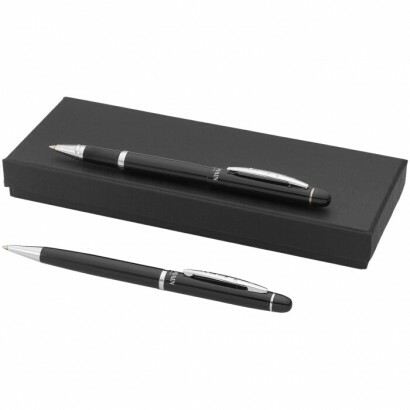 Exclusive design ballpoint pen with coloured upper and lower barrel. Includes a premium quality black ink refill. Packed a two-piece BalmainŽ gift box. Metal. 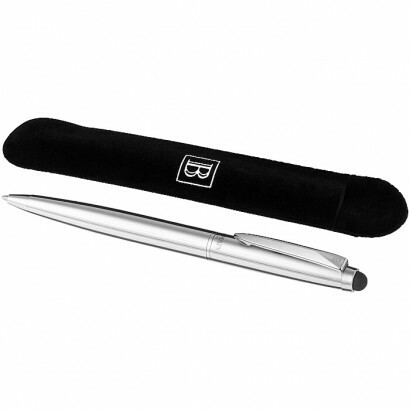 Exclusive design ballpoint pen with luxurious velvet pouch in Balmain cardboard gift box (size: 17 x 3.5 x 2cm). Metal. 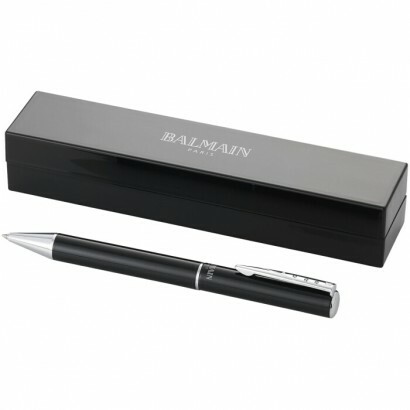 Exclusive design ballpoint pen and rollerball pen set with Balmain cardboard gift box (size: 19 x 7.5 x 3cm). Metal. 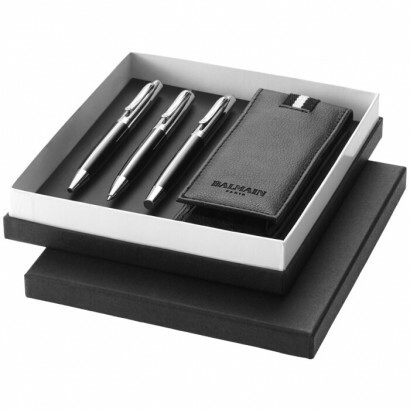 Exclusive designed set including a mechanical pencil, rollerball pen, ballpoint pen and matching imitation leather pen pouch (15.5 x 6cm) presented in a Balmain gift box (size: 18.5 x 17 x 3.5cm). Metal and imitation leather. 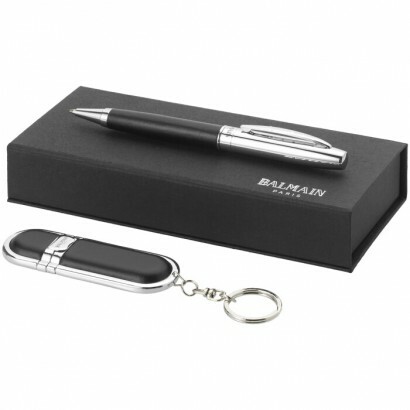 Exclusive design gift set including a rollerball pen and 4GB USB memory stick presented in a Balmain cardboard gift box (size: 17.5 x 7 x 3.5cm). Metal. 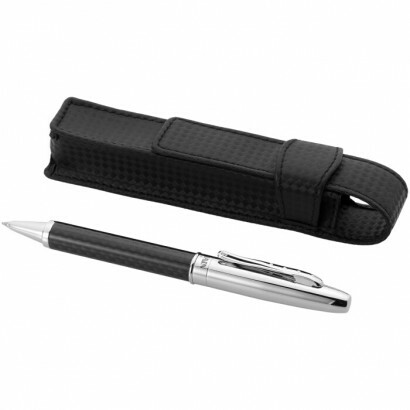 Exclusive design carbon fiber and metal twist action ballpoint pen. 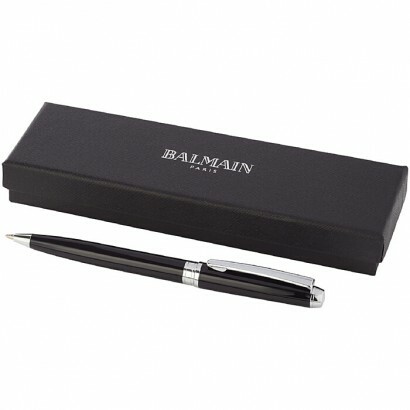 This ballpoint pen comes in a specially designed pouch in Balmain gift box (size: 15 x 3.2 x 2.3cm) to give that extra feeling once you receive this gift. Metal.